Bin Faqeeh Real Estate Investment Company S.P.C., the leading Bahrain based real estate developer, signed the first StayBridge® Suites Hotel in the Kingdom of Bahrain in partnership with InterContinental Hotels Group (IHG), one of the world’s leading hotel companies. The signing was held with the attendance of H.E. Shaikh Khaled bin Humood Al Khalifa, CEO of Bahrain Tourism and Exhibitions Authority (BTEA) in the headquarters of the Bin Faqeeh Real Estate Investment Company S.P.C. Located in the heart of the capital, Staybridge® Suites Manama Al Seef will benefit from its proximity to the popular shopping and commercial destination, the Seef District. Guests can also enjoy home-like surroundings and amenities throughout the hotel with a feeling of community including a fully equipped kitchen, spacious suites, large workspaces, complimentary WiFi, a business centre and fitness centre. General Manager of Bin Faqeeh Real Estate Investment Company S.P.C, Mr. Abdulrahman Al Kooheji further emphasized their enthusiasm and keen interest in this partnership with both StayBridge Suites and InterContinental Hotel Group. He stated “This partnership further promotes Bahrain as a hub for business, hospitality and luxury on a global scale. Bahrain has well established itself as an ideal and promising destinations for both business and leisure. Being positioned in the heart of the city in Manama, it offers visitors to get the best of both worlds that Bahrain has to offer”. 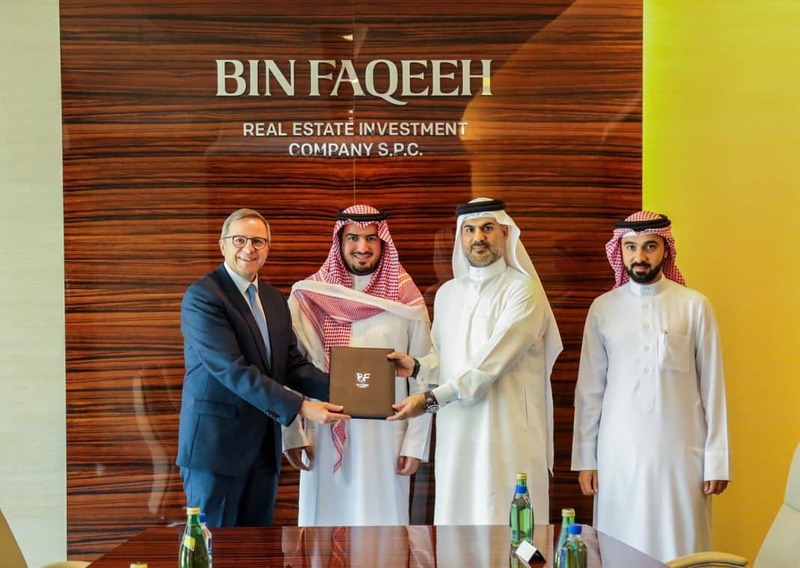 Commenting on the signing, Pascal Gauvin, Managing Director, India, Middle East & Africa, IHG said: “We are excited to be partnering with Bin Faqeeh Real Estate Investment Company S.P.C. to debut the Staybridge® Suites brand in Bahrain. The tourism industry in Bahrain is gaining momentum with an increase in leisure and business travelers, especially from the GCC countries, that is resulting in a rising demand for long stay accommodation. Seef District is the commercial hub of Bahrain and boasts of some of the best shopping destinations in the city, which is why it makes perfect sense to develop the Kingdom of Bahrain’s first Staybridge Suites here’’. He added: ‘’Staybridge Suites Manama Al Seef marks our third hotel in the country, positioning us to cater to a wider-range of guest profiles, and we look forward to welcoming our guests to this newest addition to our portfolio, in 2020’’. Bin Faqeeh Real Estate Investment Company S.P.C. has a large portfolio of projects offering a wide range of real estate options that meets different needs and expectations of any investor. It aims to be the benchmark for generating innovative investment opportunities, merging global best practice and local expertise to deliver value adding projects. Staybridge® Suites is IHG’s extended-stay brand known for its warm welcome and well-designed, spacious suites, that put guests at ease from the start of their stay. There are currently five Staybridge Suites® hotels open across the Middle East, with a further eight due to open in in the next three to five years.